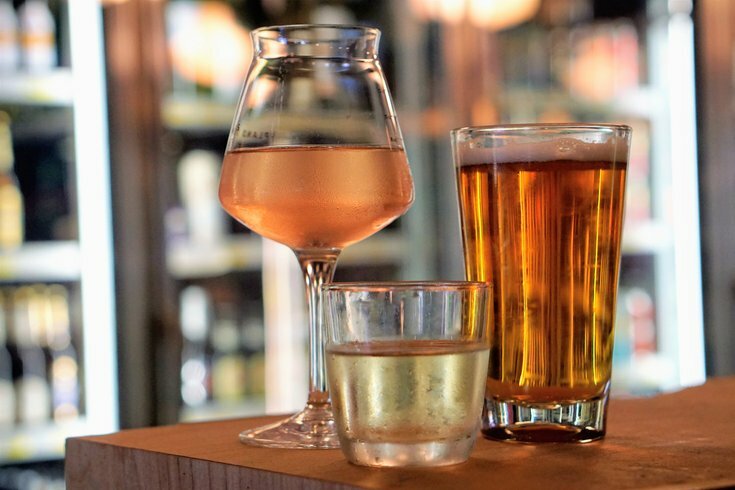 Sip on Champagne, rosé, IPAs at Hawthornes Block Party. Save the date for the ninth annual Hawthornes Block Party, where attendees can get day drunk on IPAs, rosé and Champagne. The block party will take place Saturday, May 12, outside the beer cafe from noon to 8 p.m.
Last year, sweet and bubbly selections were added to the event. New this year are more beer stations to reduce wait times in line and the addition of ten food trucks. Hawthornes Block Party is still cash only, though. You'll be able to purchase $5 drink tickets near the entrance. To entertain attendees, there will be live music all day – and plenty of room to dance. Families are invited to bring their kids, and pets are welcome, too. In the Kid Zone, there will be a giant inflatable slide, an obstacle courses, sidewalk chalk, bubbles and corn hole. Admission to the block party is free.